You don't need to look far in order to find a fantastic vehicle that offers incredible power and reliability, all you need to do is stop on by Ewald's Chevy dealers by West Allis, Ewald Chevrolet Buick, and check out our absolutely huge assortment of ready for action used Chevy Silverado trucks for sale here in Milwaukee. 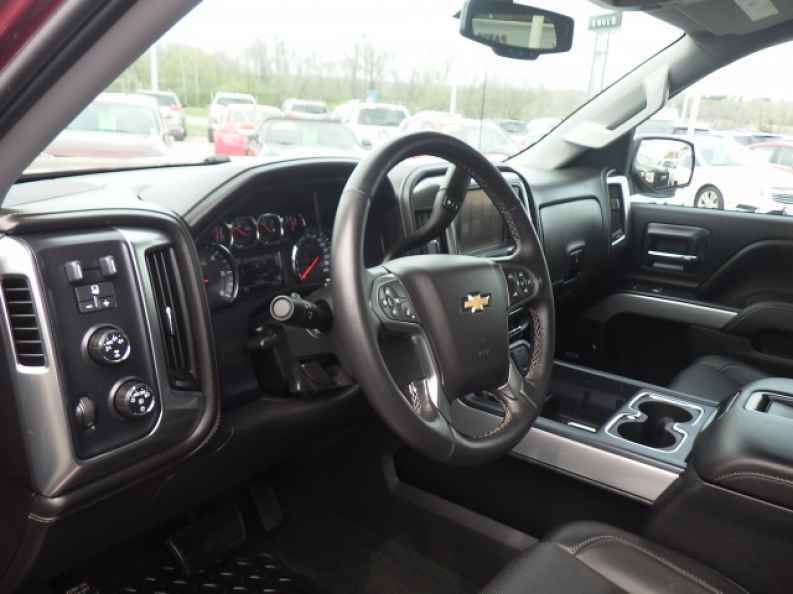 Ewald's Chevy dealers by West Allis offers drivers everywhere an impressive inventory of hard working new and used Chevy Silverado trucks for sale that you are certain to enjoy making use of. 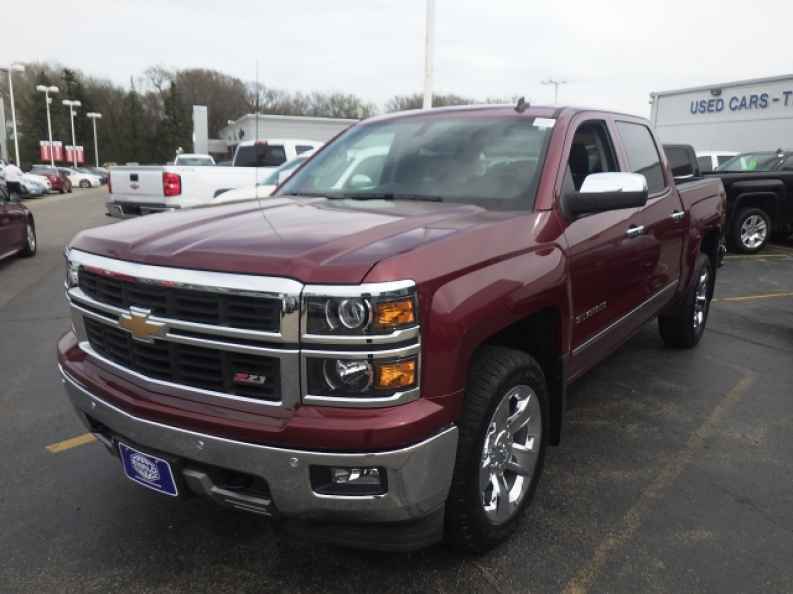 With Silverado 1500's, 2500's, and even more for sale, Ewald's Chevy dealers by West Allis are certain to have a strong and reliable new or used Chevy Silverado truck for sale that is just right for your everyday needs and more. Not only will you be able to easily find the used Chevy Silverado for sale you need on your side with ease, but you can also take advantage of our many great used Chevy truck deals and offers, helping you fit the tough and reliable used Chevy Silverado for sale you want well within your budget. So come on by Ewald's Chevy dealers in Milwaukee today and check out our great range of used Silverado trucks for sale today, such as this incredibly powerful yet very comfortable used 2014 Chevrolet Silverado 1500 LTZ. This used Chevy truck for sale was built with high power and high capability in mind, as the 2014 Chevrolet Silverado 1500 LTZ is equipped with many impressive features and options that will make your entire driving experience more enjoyable and will help make your hard work a little easier. With this beast of a machine, the used Silverado truck for sale will pump you up with a sweet 355 horsepower from its beefed up and high-powered 5.3L FlexFuel EcoTec3 V8 Engine with Active Fuel Management, Direct Injection and Variable Valve Timing, which also sports an astounding 383 pounds per foot of torque power to give you incredible towing and hauling potential, giving you more than enough speed and power for any challenge ahead of you. This used Chevy Silverado for sale doesn't disappoint where comfort is concerned either, as it is equipped with a long list of features to make use of wherever you go as well, such as the Back Up Camera that comes in very handy by showing you what is right behind you, as well as the Adjustable Steering Wheel that helps you get into the driving position that is right for you, as well as the High-Definition Radio that will give you crystal clear sound from your favorite radio stations, music, and more. With much more to offer, you are certain to enjoy taking this used Chevy truck for sale out for a spin on the roads of Wisconsin, so come on by Ewald Chevrolet Buick in Oconomowoc Wisconsin and try out this used 2011 Chevrolet Silverado 1500 LTZ for sale today, located right here at 36833 E Wisconsin Ave Oconomowoc, WI 53066.